Do you have intricate gardens on your property that require regular care, and you just don’t have the time or mobility to keep up with them anymore? Have you just moved into a new-to-you-home in the area, and want to get the garden beds into shape? How about establishing a regular maintenance plan? Maybe your house is about to go on the market and you want a really good cleanup of all the beds to improve the curb appeal. You’ve come to the right place! Alan’s Landscaping Heather’s Gardens (ALHG) is a family-owned and operated local landscape and garden, design, and maintenance company based out of Ottawa, Ontario. We specialize in garden bed maintenance, planting, mulching, garden design and more. 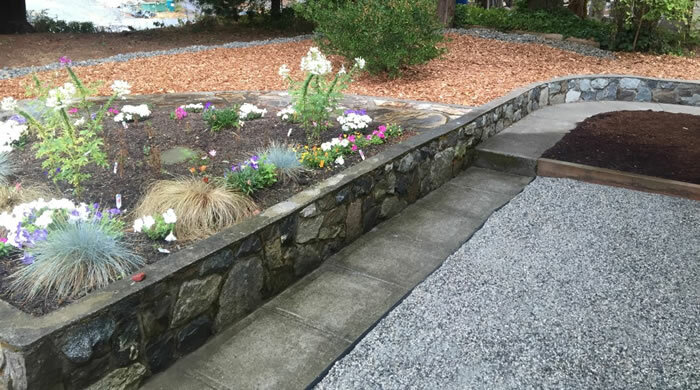 We can help you establish a regular maintenance program for your garden beds or we can provide a one-time cleanup, if you just want your gardens back into a manageable state. Are you the manager or on a committee for a homeowners association or residential development? We provide custom tailored maintenance solutions for properties of all sizes. Our services can include garden bed maintenance and regular garden care. We can put together a regular maintenance program for your townhome, condo or residential development that will have your property looking fantastic and safe all year round. We can improve the looks of any garden beds, even if they have been neglected for many years. You can count on the Warriors for great advice and effective solutions to bring your garden beds back into shape and keep them looking great. We show up on the scheduled day(s) and maintain your garden as promised. 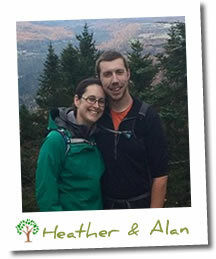 Why Choose Alan and Heather For Your Garden Maintenance? When you choose ALHG for your garden maintenance you are partnering with a small, locally-owned, family-run landscaping business. With Heather specializing in landscape design and plant identification, her team is the perfect choice when your property needs high level garden maintenance and care. The ALHG team is large enough to maintain gardens and landscaped areas of all sizes, but we’re still small enough to give your garden the specific care and attention it needs to grow healthy and look great. We believe in providing great service and value along with complete customer satisfaction with every project we complete! We will conduct ourselves like true professionals on your property at all times, leaving no trace behind except your beautifully maintained garden areas! If you’d like an estimate for garden maintenance services please give us a call (343) 262-4769 or fill out our contact form and we’ll get right back to you.